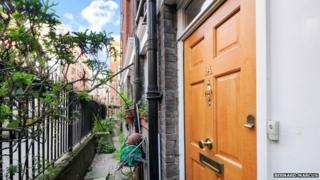 An ex-council flat has sold for £1.2m - almost 10 times its original price. The flat, on Tavistock Street in Covent Garden, was bought under Margaret Thatcher's right-to-buy scheme in 1990 for £130,000. It is thought to be one of the most expensive former council flats sold to date, selling after six weeks on the market. The flat is part of a mansion block near the Royal Opera House and has three bedrooms and a communal garden. The estate agent which led the sale said it was not sold to an investor. Barry Marner, at Barnard Marcus, said: "With central London property prices at a premium, and with demand for properties far outstripping supply, we weren't surprised that this former council flat reached this impressive price."